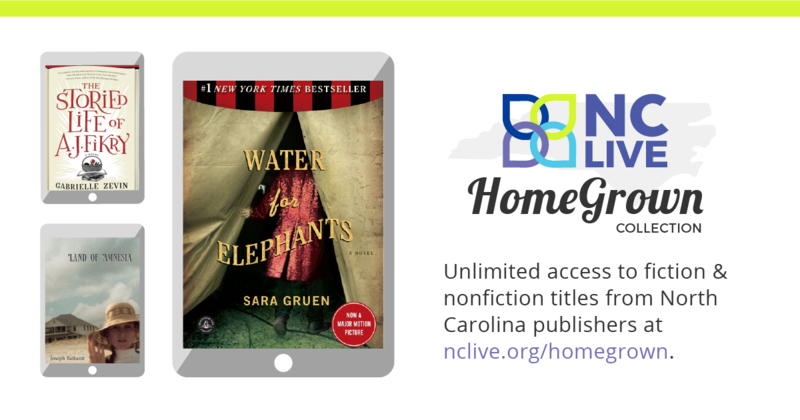 The NC LIVE HomeGrown Collection consists of more than 3,200 locally-published ebook titles made available to more than 200 libraries across the state. The collection includes titles from North Carolina publishers like Algonquin Books, CrossRoad Press, UNC Press, McFarland, Press 53, Gryphon House, John F. Blair, and Ingalls that are available in perpetuity with unlimited, simultaneous access, which means no holds, no checkout limits, and no wait lists. Immediate access for everyone, at any time, forever. 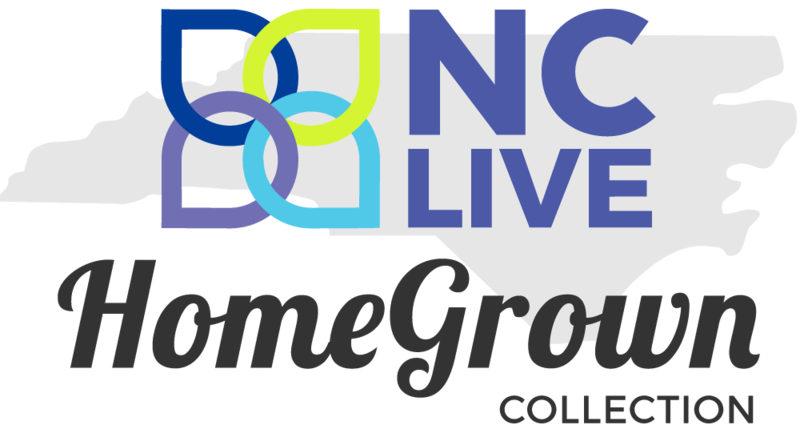 The HomeGrown project is a testament to the spirit of collaboration characteristic of North Carolinians in general and North Carolina libraries in particular. Over the past four years, the collection has grown through generous annual donations from NC LIVE member libraries. We'd like to thank those who have pledged funds in the past for the collection. Last year alone, your libraries’ pledges brought users unlimited access to 1,206 ebook titles published right here in our home state. A list of titles purchased with the 2016-2017 pledge funds. NEW FOR 2018-2019: Flexible Invoicing! Please plan to pledge at least $300 to this collection once again in 2018-2019 to help us reach our goal of 1,000 - 2,000 additional ebooks. At this form, you can pledge now or request to be contacted again later in the year. Thank you for your generous donations and continued investment in North Carolina's shared collections! Contributing Libraries, 2017-2018 — Thank you for making HomeGrown possible!